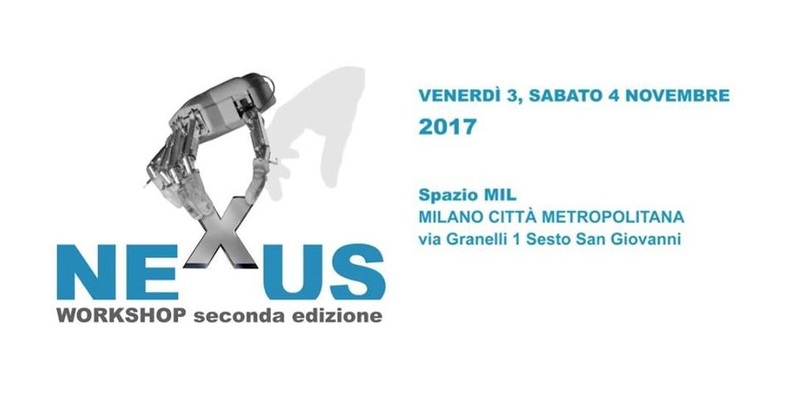 We are happy to invite you to the second NEXUS workshop “Tra uomo e macchina” at Spazio MIL (Sesto San Giovanni, Milano) on November, 3rd and 4th. The event will be a great opportunity to discuss about innovation in biomedical technologies and robotics with young researchers. Don’t miss it!